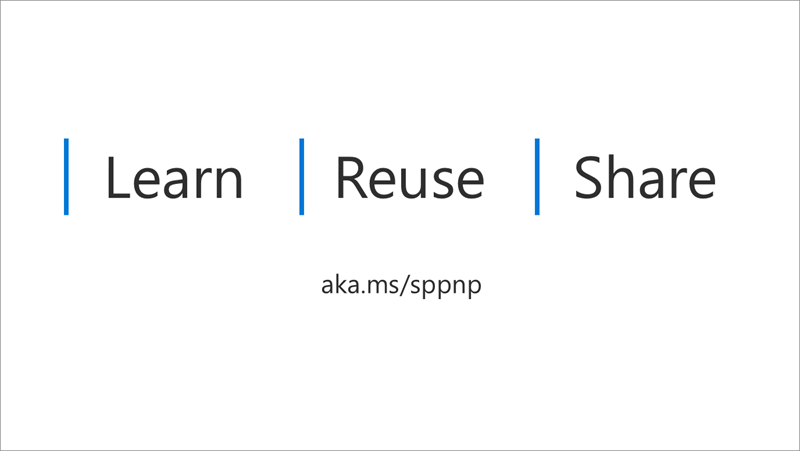 SharePoint Dev Ecosystem / SharePoint Patterns and Practices (PnP) May 2018 update is out with a summary of the latest guidance, samples, and solutions from SharePoint engineering or from the community for the community. This article is a summary of all the different areas and topics around SharePoint Dev ecosystem during the past month. Here are the latest blog posts and announcements around SharePoint development topics from dev.office.com/blogs. 31st of May – SP Dev news with engineering update. Recap of SharePoint developer announcements from SharePoint Conference 2018. Microsoft Flow and PowerApps demos from SPC 2018. 3rd of May – SP Dev news with engineering update. 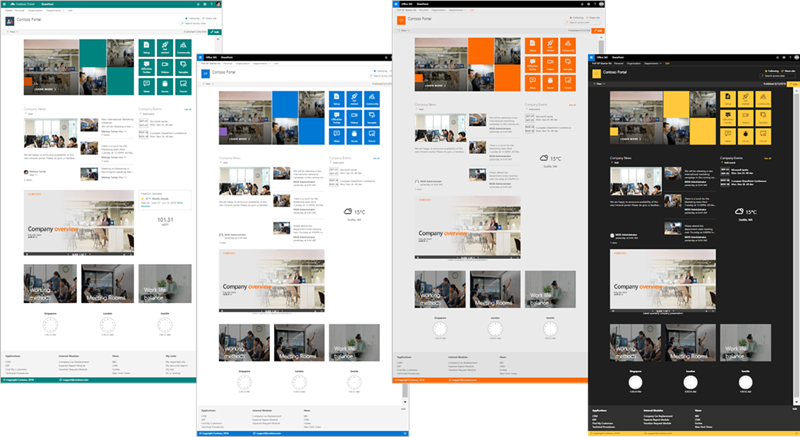 Modernizing SharePoint sites – open source tooling. Add-in submission process with AppSource. 7th of June – SharePoint Framework engineering update, PnP JS Core update, Office 365 CLI update, SPFx controls update – Dynamic Data in SharePoint Framework v1.5. Using Jest Test Framework with SharePoint Framework solutions. There are quite a few different GitHub repositories under the SharePoint brand since we wanted to ensure that you can easily find and reuse what’s relevant to you. We do also combine multiple solutions to one repository so that you can more easily sync and get latest changes to our released guidance and samples. SharePoint Starter Kit was announced in SharePoint Conference 2018 and we will keep on evolving and update this reference solution also during future releases. We also do welcome contributions on this open-source community lead project. New sample react-reduxform which demonstrate the use of Redux-Form library with SPFx, React and Typescript. Demonstrates how to easily build a dynamic grid using redux-form. New react-application-injectcss application customizer showing how to inject a custom Cascading Style Sheet (CSS) on modern pages. SharePoint Columns Formatting capability was released for First Release customers during October 2017. As part of the availability, we also announced the availability of open source repository for sharing different column formatting definitions. Since we will be releasing also new view formatting capability soon, the repository has been renamed as sp-dev-list-formatting as it will be containing both view and column formatting samples. No new Site Designs or Site Scripts during May, but adjustments and improvements on existing ones. Latest update is version 1.1.1 on the PnPJs library. Here’s are the latest changes since the previous monthly release. Notice that if you are using old pnp-js-core, we highly recommend upgrading to the new PnPjs. June 2018 monthly community call is on Tuesday 12th of May at 8 AM PST / 5 PM CEST / 4 PM GMT for latest release details with demos – Download recurrent invite to monthly community call with a detailed schedule for your time zone from http://aka.ms/sppnp-call.